Romaine Sawyers of Brentford during the EFL Sky Bet Championship match between Queens Park Rangers and Brentford at the Loftus Road Stadium, London, England on 27 November 2017. Photo by Toyin Oshodi. Romaine Sawyers- Smith managed the 26-year-old midfielder at Walsall and then signed him for Brentford in July 2016. Sawyers, who came up through the youth ranks at West Bromwich Albion, is a player Smith knows very well and was an integral part in the way his Bees side played. Could he reunite with him again at Villa? 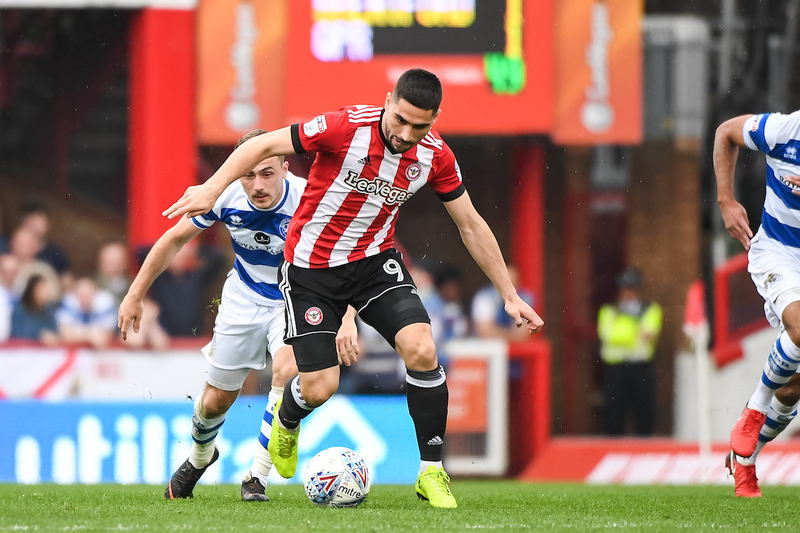 Neal Maupay- The 22-year-old is one of the best strikers in the Championship at the moment. If Villa are given money to spend in January, then he could be high on their list. The Frenchman has scored 10 goals in 12 games so far this season. However, there will no doubt be Premier League interest in him. Henrik Dalsgaard- Villa’s defence needs tightening up and Smith could be tempted to move for the Denmark international. He signed him for Brentford from Zulte Waregem last summer and he has been a solid player for the London side ever since. Ollie Watkins- The highly-rated forward is destined to play in the top flight one day as he has a bright future ahead of him. Villa need a young striker to lead their promotion charge this season under Smith and Watkins would be ideal. The 22-year-old scored 11 goals last season and has already managed four so far in this campaign. Josh McEachran- After not breaking into the first-team at Chelsea, the central midfielder had loan spells at Swansea City, Middlesbrough, Watford, Wigan Athletic and Vitesse before Smith gave him a permanent home at Brentford in 2015. McEachran played 84 times for Smith at Griffin Park and was playing some of the best football of his career before his boss left for Villa last week. Could a reunion be on the cards in January?